Create one of a kind atmosphere – most designer tables and chairs are either one of a kind, or are produced in just a few samples, no more. So, if you are tired of identical interiors, featuring the same (or nearly the same) furniture items, you should definitely consider the chance of making your room truly unique. Feature incredibly stylish looks – it will be hard to argue that all designer tables and chairs feature very stylish looks. Sure – different people prefer different things, so do not be surprised if you find some of the available items gorgeous, and some of the others – ugly. All in all, all of them have a distinct style of their own. Can be made of different materials – most common production materials include wood, MDF (sometimes glossy), tempered glass, and stainless steel (or chrome). 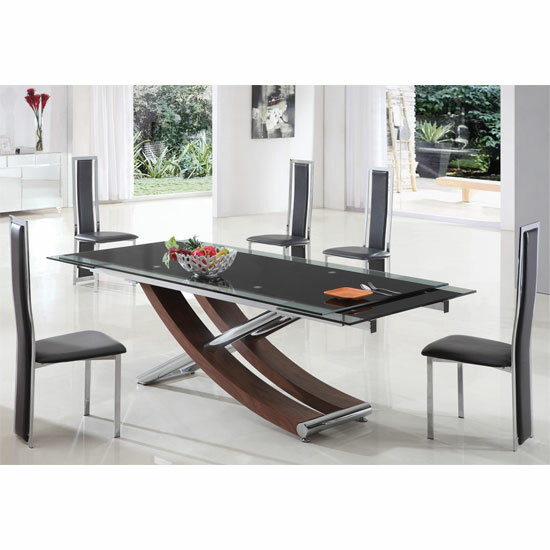 Designer tables and chairs can feature all of the above – quite often, in one model. Another important thing is that designer solutions are usually made of higher quality materials, which is a great bonus. Expensive – it is not surprising that a unique model, featuring supreme production materials, is expensive. Another drawback is that few designer tables and chairs will ever be available on sales. Even when stores sell out their older furniture collections, the price on these items usually remains the same. Interior demanding – items as unusual and stylish as that require equally unusual and stylish atmosphere. You will have to carefully weigh over every little detail in your room if you choose to equip it with designer tables and chairs. At the same time, you should be very careful selecting matching furniture items – after all, you would not want to pull focus from your new eye-catching arrangement. Not always space efficient – this is not always the case, but quite often, designer furniture is physically and visually more spacious. So, this might not be the best idea for small rooms. However, if your space is not limited, you might give designer furniture a try. The bottom line – designer tables and chairs surely look stylish, but their integration into home interior is not always easy. All in all, the decision should surely depend on your budget, on your available space, as well as on your willingness to look for unusual furniture items and accessories to match the picture. And, if you are still looking for a store that can offer you plenty of high quality designer furniture solutions, you should take a look at Furniture in Fashion . This is one of the biggest furniture selling websites in the United Kingdom. Plus, you can personally examine any furniture piece you like in their showroom in Farnworth.